Yesterday, MacWorld posted a useful article about Apple’s $29 iPhone battery replacement program. As for the “How do I check my own iPhone’s battery life?” question, I downloaded and tried the coconutBattery macOS app and found the results interesting. Battery capacity was still okay. [Wiki] The Rose Parade, also known as the Tournament of Roses Parade, is part of “America’s New Year Celebration” held in Pasadena, California each year on New Year’s Day (or on Monday, January 2 if New Year’s Day falls on a Sunday). 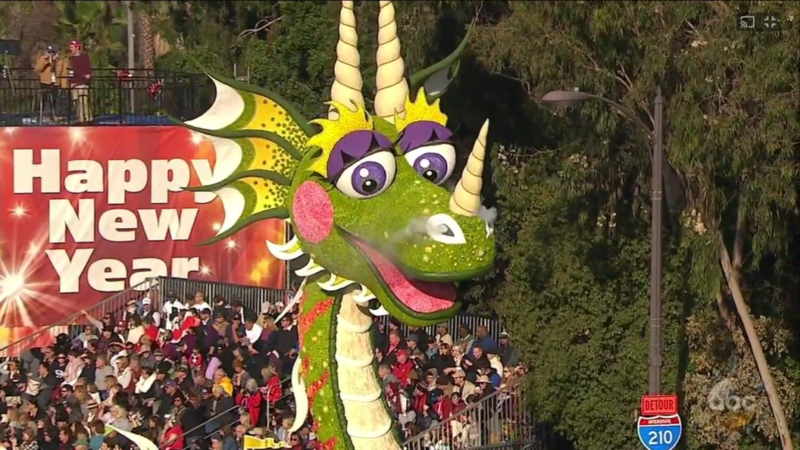 The parade includes flower-covered floats, marching bands, and equestrian units and is followed by the Rose Bowl college football game. It is produced by the nonprofit Pasadena Tournament of Roses Association. Originally started on January 1, 1890, the Rose Parade is watched in person by hundreds of thousands of spectators on the parade route, and is broadcast on multiple television networks in the United States. It is seen by millions more on television worldwide in more than 100 international territories and countries. Computer Comments Off on New holiday computer? If you got a new PC for the holidays, congrats. What’s next? Windows 10 updates, Cortana practice, customization, privacy settings, another browser, Malwarebytes Anti-Malware, backup, … fun. When I ask some of my clients how they get to their email, a typical response is “AOL” or “hotmail” or “Google.” Or they might say “myname@hotmail.com” or “myname@aol.com.” Well, that’s not what I’m trying to understand. Knowing their preferred service company or email address is a start, but I’m more interested in whether they get to their messages on a desktop or notebook computer or on a smartphone or tablet (or all of those devices). And if on a desktop or notebook computer, whether they use a special purpose program (like Microsoft’s Outlook, Apple’s Mail, Mozilla’s Thunderbird) or a general purpose program — a Web Browser like Microsoft’s Edge, Google’s Chrome, Apple’s Safari, Mozilla’s Firefox, etc. There are pros and cons to each option. When a Web Browser is used to access your email on a service provider’s Web site, this method is called Webmail. One advantage to this is that you visit other sites (web pages) using your browser and so webmail is just visiting a special type of site. And you can do this anytime and anywhere you have a device with an Internet connection and a browser. No special programs need to be installed and configured. You do not even need to use your own computer. Webmail can be tedious, however, when you have many email addresses (and accounts with several email service providers) — going to separate sites to check each one. A special purpose email program, however, can typically manage multiple accounts and Inboxes, which makes checking those accounts more convenient. A special purpose program also may in general be easier to use (a friendlier graphical user interface). That’s why many pepople still use the AOL Desktop program. On smartphones you’ll generally want to use a special purpose app, like Apple’s Mail or Google’s Gmail app. 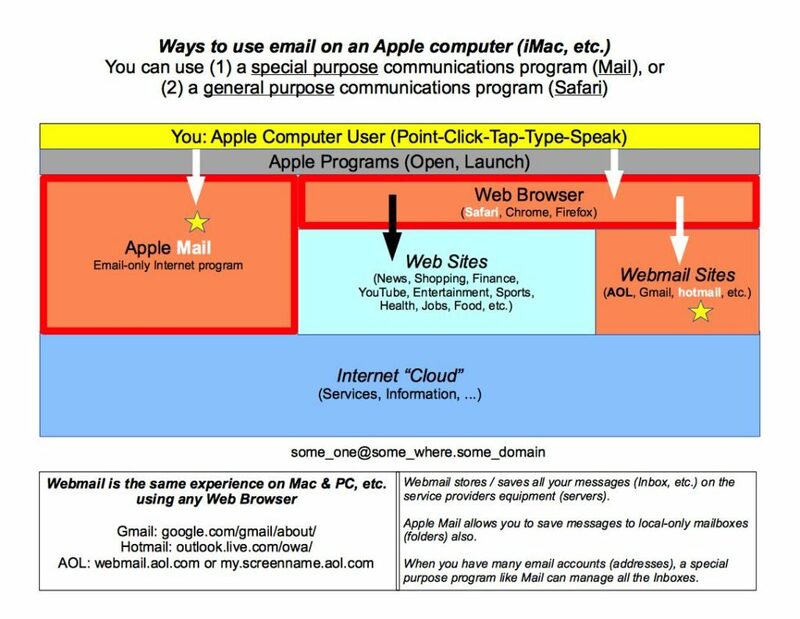 Here’s a drawing intended to clarify these email options (link to pdf version below). We’ll explain why Windows 10’s Fall Creators Update is worth your time in our review. Here’s what’s different this time around: There’s new hardware, too. PC World today shared the news that Microsoft is rolling out the Windows 10 Fall Creators Update: “Windows 10 Fall Creators Update review: This could be Microsoft’s biggest Windows yet.” As in past Updates (which install like entire new editions of Windows 10, as large downloads with extended install times), there’s a way for early adopters to grab the Update now, while most of us will get it over time like other monthly Windows updates. Microsoft’s Windows 10 Fall Creators Update is what every sequel shoots for: bigger, better, more ambitious than the original. As it rolls out in phases starting Tuesday (see Microsoft’s blog post for details), our review focuses on Windows’ big, risky bet on mixed reality, plus smarter investments in the pen, creative 3D apps, Edge, and even speech. A ton of practical, everyday additions won us over, including OneDrive placeholders and much longer battery life while watching movies. See the full article for what’s new and what’s changed. PC World has separate articles for various aspects of the Update. For example, “Hands on with Windows 10’s Story Remix, the new tool to make your photos pop” covers the new Remix app. Microsoft’s Story Remix was expected to be one of the highlights of the Windows 10 Fall Creators Update, and it lives up to that promise, combining the existing, excellent Photos app with a video and slideshow editor that adds transitions, music, and even fantastic 3D animations. It’s worth noting, though, that Story Remix and Photos exist (for now) within a sort of odd, yin-yang duality where both apps co-exist. If you choose to open or edit a file within Photos via File Explorer, Windows will open the “traditional” Photos interface. But if you simply launch the Photos app, the Story Remix interface will open. Interestingly, there also seems to be no way to transition between the two interfaces within the app itself. This PC World article “How to build the best free PC security software suite” (October 16, 2017) is one of the best digests of the topic that I’ve encountered. The article offers a ready summary of what you need to cover various security risks on your PC. For those not wanting to purchase an annual computer security subscription (with auto renew, eh) — but not go potluck — and willing to blend together a solution, the recommendations agree with my research and experience. … free products can include browser toolbars, extensions, or other desktop programs that you might not want. Freebies can also have ads that help their makers pay the bills. Be mindful while you’re installing free programs to avoid also installing bloatware you don’t want, which is often flagged for installation by default. Read the full article for recommendations to safeguard your PC in other ways. Privacy concerns have plagued Windows 10 since its launch. It’s no surprise: The operating system is designed to ensnare you in Microsoft’s services, and you can’t stop it from sending Microsoft basic telemetry data about your device. But Microsoft has been working hard to assuage the concerns, and on Wednesday it announced enhanced privacy settings coming in October’s Windows 10 Fall Creators Update. While such disclosure by Microsoft may well be a step forward, any new privacy agreement is hardly something that “mere mortals” will likely parse and ponder. But any settings that can limit data collection or the degree of such collection might be worth the effort and time investigating. If you’re particularly worried about somehow landing on a malicious website while browsing the Internet, then this PC World (August 1, 2017) article “AV-Comparatives’ anti-phishing results for 2017 put Avast, Bitdefender, Fortinet, and Kaspersky on top” may be useful. In previous posts, I’ve noted PC World’s summaries of test results by the independent computer security test organization AV-Comparatives. You can check out the full anti-phishing results on AV-Comparatives’ website. Some of my clients use free anti-virus (AV) programs. Pros and cons. Should I go free or paid for antivirus? But there isn’t a good answer to that question. It really comes down to what you’re willing to put up with. If you just need basic protection then most free antivirus suites are probably fine. And remember, regardless of your choice for AV, use Malwarebytes Anti-malware also (free or premium version). The report is available in PDF format here. So, when the occasion arises, I say that unless there’s some really compelling reason to use Flash, the best practice is not to. I mention the long-running security issues, and that it’s being phased out. But there’s still the question: what is Flash? Today, PC World published an article “Adobe Flash will die by 2020, Adobe and browser makers say” summarizing the timetable for phaseout. Specifically, Adobe Flash Player will be end-of-lifed by 2020, the company said, meaning that it simply won’t work. Some major web sites still use Flash for viewing video. Even some high-speed Internet service providers’ (broadband) speed test pages still require Flash be enabled. Anyway, all that will change, eh. 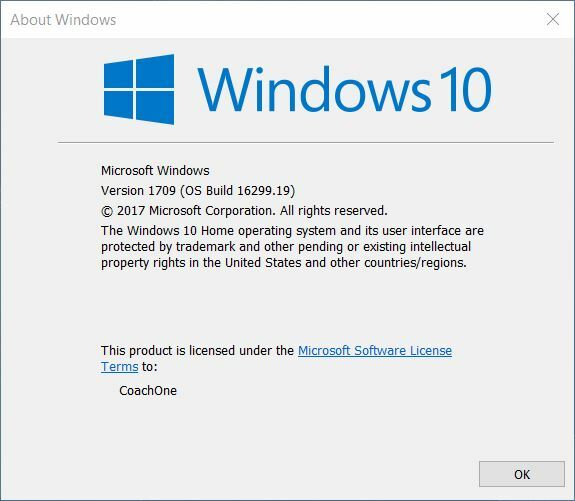 Have you installed the Windows 10 Creators Update on your PC yet? In my lab, I’ve installed the Creators Update on a variety of Windows 10 PCs, from cheap or midrange to powerful quad core models and from 7 year old to 2016 models. This PC World article “The 11 most intriguing Fall Creators Update features in Windows 10 Build 16215” covers Microsoft’s ongoing rollout of new features this year for Windows 10. … Microsoft just revealed a service pack’s worth of additions as part of Windows 10 Build 16215: dictation, predictive typing, a “Find My Pen” mode, full-screen Microsoft Edge, and tons more. Essentially, Microsoft appears to be bringing some of what’s best about Windows 10 Mobile (which received a few bug fixes) to the Windows 10 desktop, improving the way in which Windows uses pens and camera input, and adding literally dozens of small refinements across the board, including elements of Microsoft’s new Acrylic UI. Why this matters: Build 16215 points toward a Fall Creators Update that will bring a lot of welcome improvements and flesh out features that have remained minimal so far. Microsoft’s blog post lists dozens of changes, so we’ve picked 11 especially cool features you definitely need to know about. Read the full article for the highlights of the latest release. The feature-packed Windows 10 Creators Update hasn’t even hit every PC yet but Microsoft’s already taken the wraps off of its successor. Microsoft unveiled the uninspiringly named Windows 10 Fall Creators Update during Build 2017, and it will most likely hit Windows 10 PCs (including Windows 10 S devices) this September. Here’s a look at the most noteworthy new goodies you’ll find in the next massive Windows 10 iteration, including a potentially wonderful new feature just revealed by Windows 10 Insider Preview Build 16232. Ransomware has been much in the news since the WannaCry attack on May 12, 2017. The attack started on Friday, 12 May 2017, and within a day was reported to have infected more than 230,000 computers in over 150 countries. Parts of Britain’s National Health Service (NHS), Spain’s Telefónica, FedEx and Deutsche Bahn were hit, along with many other countries and companies worldwide. Best practices to guard against such attacks apply to both personal and business computers. In particular, that you keep the Microsoft Windows operating system up-to-date (Windows Update). Also, as mentioned previously, many of these attacks start with hacking your “head” rather than your hardware — your PC — via targeted phishing email messages. This Malwarebytes Labs blog “How to protect your business from ransomware” post has a useful summary infographic on this topic. The Adobe Acrobat Reader DC (PDF) version is included below. Today’s Cnet article “Government cracks down on tech support scam” reminded me that I had a few reports of this scam last month. The scam worked like this: An advertisement designed to look like a security alert would pop up on your computer [while browsing the Internet] to warn of a virus or malware, directing the user to call a toll-free number. Some of the messages even included a countdown clock. The article contains an image of the window that appears in your browser. One client believed the screen, panicked, called the number, and let the scammers take remote control of her PC (to show all the supposed problems); then realized the scam when an odd form of payment was demanded (iTunes gift cards). Another client called the number and realized the scam after a brief Q&A about who they were. Another client was about to call the number but called me first. Just another telemarketing scam — whether on the phone or computer screen.